Need Bat Removal in West or Central Michigan? If you live in central or west Michigan, there is a good chance you have a bat or two in your attic. In some cases, bats can take over space in your home, and you will need a wildlife removal specialist to take care of the infestation. The BatPro specializes in Michigan bat removal and uses several methods to keep your home safe and bat-free. In the state of Michigan, bats are the second largest mammal population and about one-fourth of the world’s mammal population. Bats are the only mammals that can fly. The animals also have keen eyesight, but mainly use echolocation when they are flying at night. Echolocation is also the way bats find their prey, but this method is only useful when bats are flying short distances. Since we offer several Michigan wildlife solutions, we have a thorough understanding of bats and their patterns. 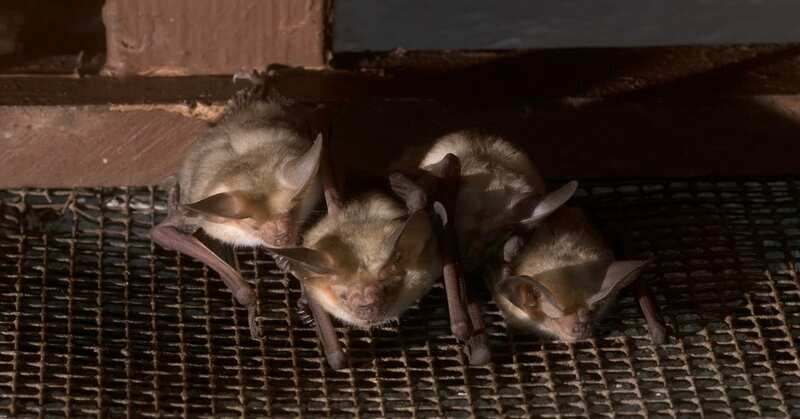 Knowing bats and their tendencies allow us to find bats that may be difficult to locate with the naked eye and deter them from making a home on your property. All Michigan bats are similar when it comes to hibernation, daily torpor, and delayed fertilization. Torpor means that the bats lower their body temperature to adapt to the climate in Michigan. Bats usually exhibit sluggishness during rainy or cold evenings. Hibernation is similar to torpor, but hibernation involves lowering body temperature for a more extended period, generally for the entire winter season and into the spring. Bats usually hibernate from October to April. During hibernation, the bats feed off the body fat they have stored for the winter. One of the reasons you need nuisance animal control Michigan services is because bats carry diseases that can be transferred to humans. Histoplasmosis and rabies are common in bats, and these could cause serious health problems for humans. Rabies is a virus that specifically affects the body’s central nervous system; the infection could be fatal. Histoplasmosis is a disease of the respiratory system but can also change the eyes and other organs. Bats do not have very many predators, but owls and hawks are known for eating bats. Some cats, foxes, coyotes, and raccoons may also pursue bats as prey; however, these animals usually only eat bats if they are injured or sick. Bats tend to live for an average of 15 years, which means it could take a while for you to get rid of bats if you do not implement the right removal methods. The only proper bat removal method is to conduct a thorough bat proofing on the exterior at secondary areas of interest. After the secondary areas of interest is proofed, our highly trained and experience bat removal technicians will install one-way doors. Once the bats decide to leave the roost for their night time feeding, they will exit on their own through the bat exclusion devices. Once the exclusion devices have been in position for at least a couple weeks, our technicians will return to re-inspect and remove the excluders. We will then finalize the proofing of the exterior. It is the utmost importance to conduct a detailed bat proofing on the exterior, to ensure the bats are unable to re-colonize the structure. Contact us today to learn more about bat removal methods that are safe and effective for you and your family. We are located in Gowen, MI, Kent County, Michigan and servicing the areas of West/Central Michigan. We will evaluate your property and determine the entryways and openings where bats enter your property. Once we implement the best bat removal methods for your home, we will provide insight into construction or renovation methods that will keep your home free of pests.